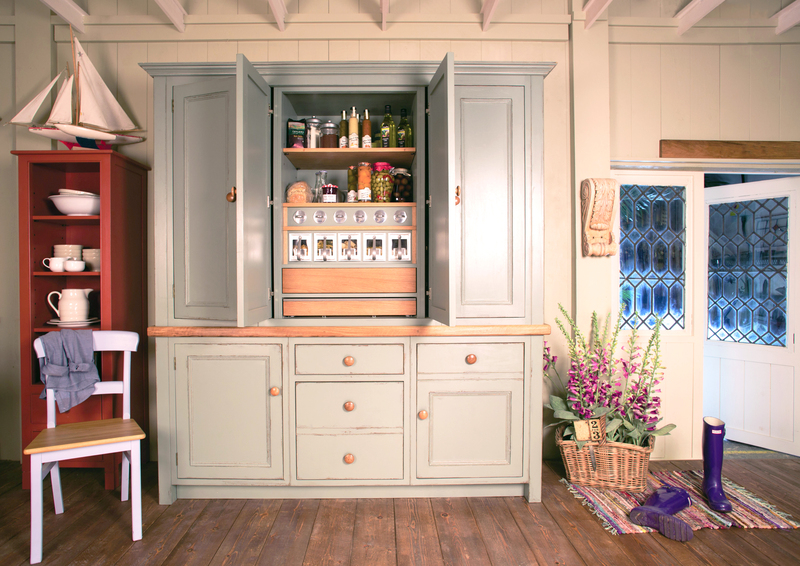 Recently, the popularity of large kitchen islands has prompted a resurgence in a form of cabinetry that was once the norm in kitchens up to the early 1950s – the freestanding cabinet that stands on legs with finished faces on all four sides. At one time, you had no choice: every kitchen was a freestanding kitchen. In most pre- World War II kitchens, all items were free-standing and moveable; table, pantry, refrigerator, stove, and storage cabinets. Only the sink was fixed in place, and that was because it was attached to the house by plumbing. During the 1940s, continuous metal kitchen cabinets began to appear in American kitchens, these were the result of innovation in mass production brought about by the war materials industry. Post- World War II, these wraparound cabinets, with their seamless countertops, were found in newer kitchens nearly everywhere. If you had freestanding cabinets, you were deemed highly impractical – or worse – seriously out of fashion. 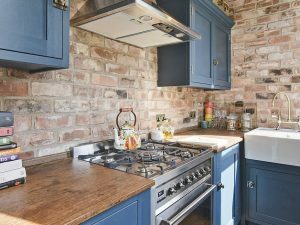 However, as times change and the adaptability of our homes becomes more essential, the freestanding kitchen is becoming more appealing. 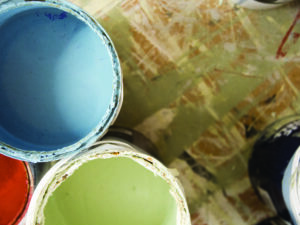 From islands and dressers to cabinets and electrical items, you are able to create a space that’s flexible, versatile and adjustable depending on your needs and desires for your home, at different times. 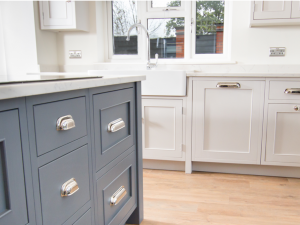 But not only does it provide you with layout flexibility, you also get that timeless, traditional aesthetic that fitted kitchens just can’t achieve. They look stunning and create wow factor in any home. Not forgetting, a freestanding kitchen provides you with easier access for cleaning to keep your kitchen in tip top shape! 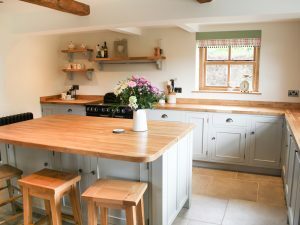 So, if you want to give your kitchen an all-new yet classic look and create a space that’s beautiful and practical for your family, speak to the team at Mudd & Co. Our handcrafted range of cabinets, dressers and islands can be tailored just for you and finished in a stunning exclusive Mudd & Co kitchen colour to the highest standard. It’s time to get creative with your kitchen space and fall in love with a freestanding kitchen style today! Let your kitchen be free!